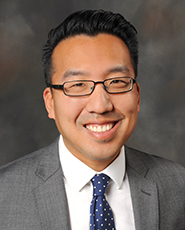 Daniel J. Lee, MD specializes in hand, wrist and elbow surgery, with additional training in microsurgery. Born and raised in the Philadelphia area, he attended the University of Pennsylvania for his undergraduate studies, earning a degree in Chemistry. Following his graduation from Penn, he researched HIV vaccination and immunology, and authored and co-authored several scientific papers. He then attended and earned his medical degree from Drexel University College of Medicine. Dr. Lee stayed at Drexel University College of Medicine for his orthopedic residency, and continued to remain active academically. He went on to subspecialty training in Hand and Upper Extremity surgery at the University of Pennsylvania. Throughout his training, he has presented both nationally and internationally on a variety of topics involving the upper extremity and has written and contributed to several textbook chapters in hand and elbow surgery. Dr. Lee is Board-Certified and is an active member of the American Academy of Orthopedic Surgeons. He is a candidate member of the American Society for Surgery of the Hand as well as the American Association for Hand Surgery. Dr. Lee's areas of interest and expertise include carpal tunnel syndrome, trigger finger, thumb and wrist arthritis, complex fractures of the elbow, wrist and hand, arthroscopy of the elbow and wrist, microsurgical techniques, tennis elbow and various tendon disorders of the upper extremity.